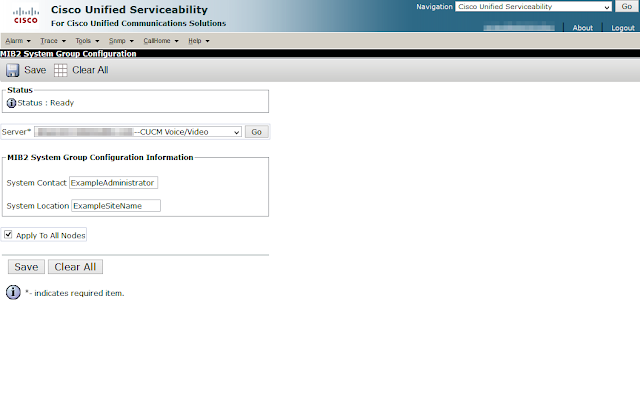 Most Cisco Collaboration products that leverage the Cisco VOS platform, such as Unified Communications Manager, include a Serviceability graphical administrative interface. Prime License Manager (PLM, a.k.a. Enterprise License Manager or ELM) does not include this when installed as a stand-alone virtual machine. Similarly, Prime Deployment Manager (PCD) does not provide a graphical Serviceability interface. Instead, configuring SNMP is available only through the Command Line Interface. While neither product appears to provide a CLI Reference Guide directly, they share the Cisco VOS platform and therefor the CLI syntax which is documented for UCM. Unfortunately the guide does not provide examples of each command and it turns out that there are a few limitations compared to the GUI. I wrote this post after a customer asked that I configure SNMP on all of their Cisco Collaboration applications and being unable to find a definitive set of instructions for how to complete this on PLM and PCD. You can add, view, modify and even delete SNMP community strings within the utils snmp config 1/2c community-string sub-commands. The CLI command appears to have one limitation compared to the GUI of supporting only a single IP address if you wish to limit the source IPv4 address that can use that string. Every separator I tried (e.g. space, comma, semicolon, etc.) caused the script to fail. 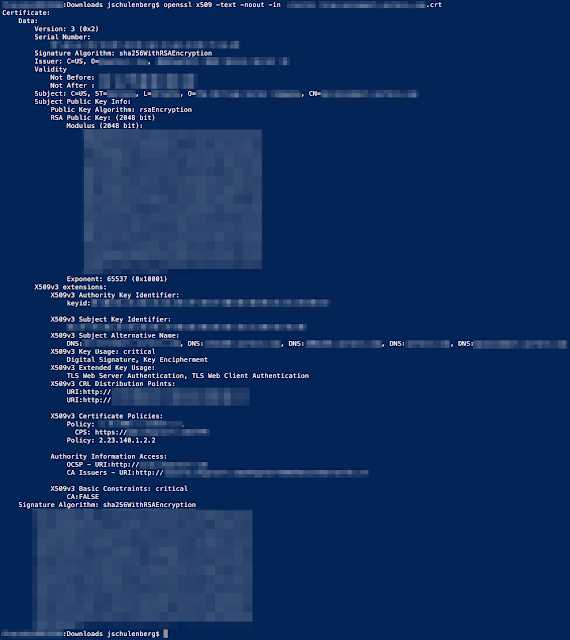 If you have multiple SNMP source addresses I'd recommend leaving it at ALLHOSTS instead of creating separate per-source community strings since neither PCD or PLM have especially sensitive data on them. ctrl-c: To quit the input. The access privilege defaults to ReadOnly but will accept the following options: ReadOnly, ReadWrite, ReadWriteNotify, NotifyOnly, ReadNotifyOnly, or None. 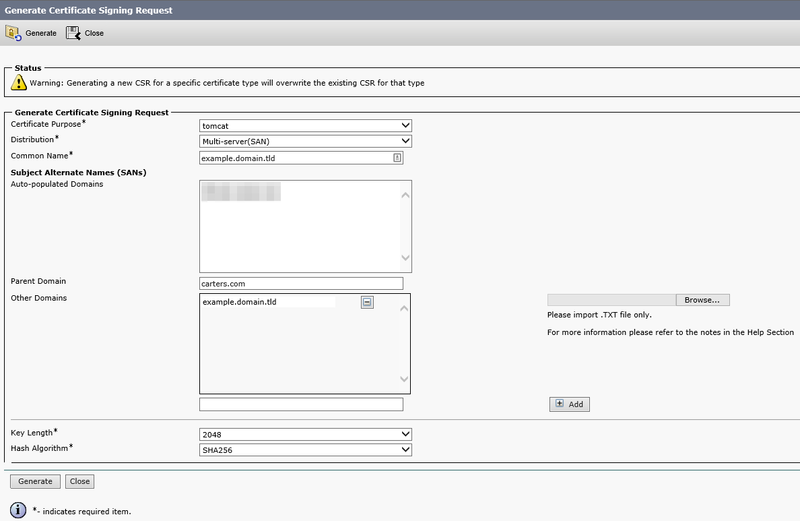 For comparison, here is how the same community string is created on Unified Communications Manager, Cisco Unified Serviceability under the SNMP > V1/V2 > Community String option of the drop-down menus. The nearly universal MIB2 provides OIDs for System Contact (1.3.6.1.2.1.1.4) and System Location (1.3.6.1.2.1.1.6). These can also be set through the CLI. As with the community string it appears there is one limitation not present through the GUI: the input script does not support spaces, @ signs, or likely any other non-alphanumeric characters. For comparison, here is how the same community string is created on Unified Communications Manager, Cisco Unified Serviceability under the SNMP > System Group > MIB2 System Group option of the drop-down menus. Even though there isn't a graphical interface the underpinning requirements are the same. Anything that you cannot configure on the Cisco Unified Serviceability graphical interface is also blocked through the equivalent CLI command. 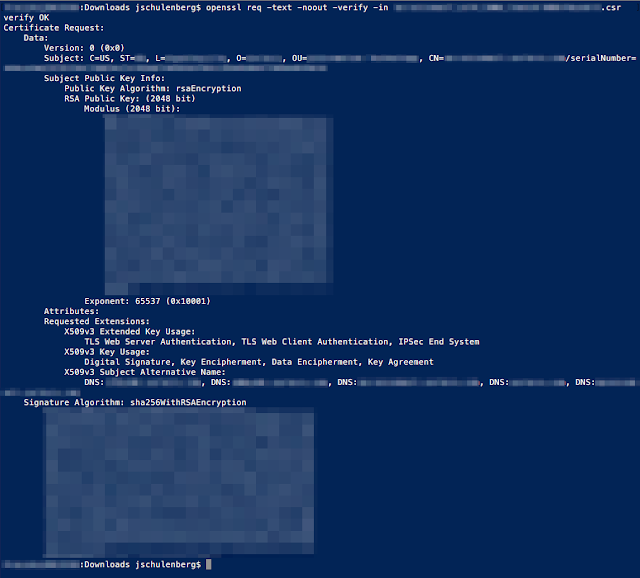 Understanding this becomes helpful when you attempt to configure an SNMP trap because the command will fail if you have not already created a community string with NotifyOnly, ReadNotifyOnly, or ReadWriteNotify privileges. Example output when the community string referenced in the trap does not exist. To successfully create an SNMP trap or inform destination you must first create a community string. If command is aborted during service restart, verify service status of "SNMP Master Agent" using command "utils service list"
If service is down, start it using command "utils service start SNMP Master Agent"
All of this directly maps to the options that exist within the Serviceability graphical interface. For comparison, here is how the same community string is configured on Unified Communications Manager, Cisco Unified Serviceability under the SNMP > V1/V2 > Community String option of the drop-down menus. After creating a community string with the Notify privilege the trap destination can than be defined. Again, using UCM as a graphical example under the SNMP > V1/V2 > Notification Destination option of the drop-down menus. Cisco Jabber provides the ability to send files between users, either peer-to-peer or proxied via the IM&P server when Managed File Transfer feature (MFT) is configured. The MFT feature also is required when one or both users are connected using Mobile and Remote Access (MRA). It is also required for ad-hoc and persistent chat rooms to support file sharing. As an added bonus, this supporting file transfers within Jabber will likely reduce the use of email as a file transfer protocol. The concern that immediately gets raised by customers is the risk of malware being propagated through Jabber. In addition to ensuring anti-malware software on both the sending and receiving computers, administrators can blacklist the undesirable file extensions. You define this list in jabber-config.xml, either with a text editor of your choice or by using the config generator (now hosted at www.ciscojabber.io). The disallowed_file_transfer_types policy element is supported by all current Jabber clients: Windows, Mac, iOS and Android. This is certainly an incomplete list but it's better than leaving the field blank and allowing everything. See one I missed? Please add it in the comments! The use of Certificate Authority (CA)-signed X.509 (aka TLS or SSL) certificates with Cisco's Collaboration products has risen substantially in the last few years since Cisco Jabber began performing certificate validation, the migration to web-based clients such as Cisco Finesse, and the IT industry woke up on the topic of security. The problem is that many of the certificates being purchased are secretly missing important requirements Cisco included in the Certificate Signing Request (CSR). It's important to verify what you asked for in the CSR actually matches what the CA included in the certificate they issued you. This is an important step to perform before you install the certificate because a CA can omit anything in the signed certificate that it doesn't like from the CSR. If you catch the omission before uploading the signed certificate to the server you can work with the CA to reissue the certificate with the existing CSR after fixing the mistake; however, once you upload the certificate a new CSR will be required. Generating a new CSR may have cost implications from the CA. Cisco's Platform Administration GUI does not validate that every last bit of the certificate matches exactly what was in the CSR. It seems to only check that the Common Name (CN) and Subject Alternate Name (SAN) attributes are consistent. Two important attributes that it doesn't validate are the Key Usage and Extended Key Usage attributes. Cisco's Operating System Administration Guide dedicates an entire section to these two attributes because they define what the certificate can be used for. It is worth noting that each product has a separate OS Administration guide but only the CUCM document specifically states that "Tomcat does not require the Key Agreement or IPsec End System key usage" abilities. I have interpreted this as a documentation defect on the other products because all of them - including CUCM - include these abilities in their self-signed certificates and older versions of the OS Administration guide for CUCM prior to version 9.1 did not include this statement. Having said that, I am unaware of an actual defect ID to support this conclusion. The easiest way to accomplish this is using OpenSSL which is likely to already be installed if you are using GNU/Linux or Apple OS X. For those on Microsoft Windows you can install Cygwin. Note the details within the Requested Extensions section that has been highlighted red for visibility. In the next section you will see a decoded certificates that is missing some of this detail. Compare the Key Usage and Extended Key Usage attributes in the CSR with what the CA chose to include in the signed certificate. In this case, the Key Usage attribute is missing Data Encipherment and Key Agreement while Extended Key Usage is missing IPSec End System. As mentioned above, that Tomcat certificates do not require IPSec End System or Key Agreement but that leaves us without the required Data Encipherment ability. The Upload Certificate dialog will accept this certificate even though it does not meet Cisco's stated requirements. If you see this you should stop before uploading the certificate to the server and contact the support team of your CA to ask that they reissue the certificate exactly as the CSR requested it. As is usually the case: extra effort today prevents exasperation and orders of magnitude more effort expenditure later. 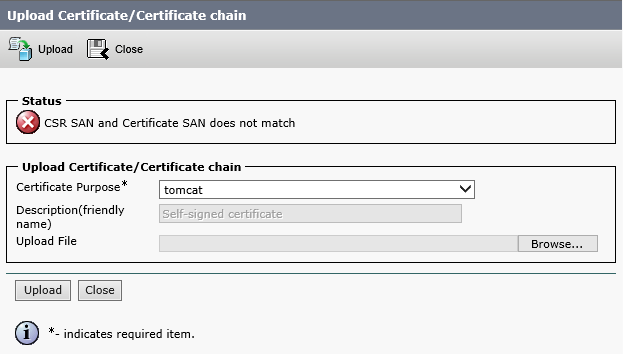 Another common pitfall arrises when the CSR includes a Subject Alternate Name (SAN) attribute. This will be present if either the set web-security command was used to add a SAN to an individual server (e.g. a user friendly FQDN such as myphone.domain.tld) or when using the Cluster-wide Multiserver Certificate Support introduced in CUCM and CUC version 10.0. Some certificate authorities will copy the CN into the SAN when issuing the certificate. 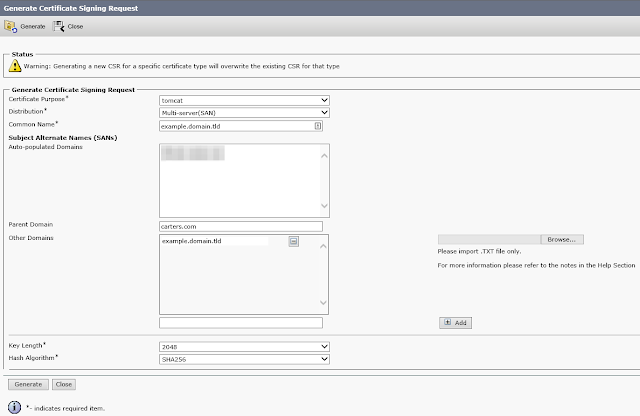 Since the Platform Administration GUI validates that both the SAN attribute matches exactly between the CSR and signed certificate, this will cause the uploading of the certificate to fail. To avoid this problem you must include the value of the CN as one of the SAN(s) when generating the CSR. 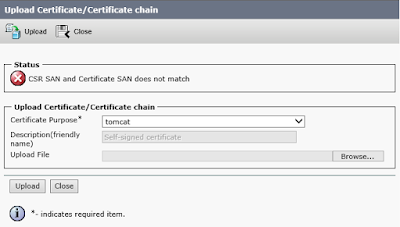 The Generate Certificate Signing Request dialog in Platform Administration will allow you to add any Subject Alternate Name you wish after choosing a Distribution type of Multi-server(SAN). One of the quintessential tools for a network engineer is SecureCRT from VanDyke Software. Every senior engineer has it and those starting their careers sweat the purchase price before eventually succumbing to the peer pressure. As an engineer uses it they curate a list of saved sessions and non-default preferences that give SecureCRT a glove-like fit. Then you get a MacBook Pro. SecureCRT even has a great native OS X app. Hooray! Except, you still end up running virtual machine (e.g. Parallels for Mac or VMware Fusion) to isolate VPN connections from your host OS X instance. Regardless of whether the virtual machine operating system is Microsoft Windows or a second instance of OS X, it leaves you with two disparate configurations of SecureCRT. This post outlines how I have shared the configuration from both my host computer's OS X instance as well as a Windows virtual machine running within VMware Fusion 8. This post was inspired by Joe Wilson's article on RouterFreak.com titled Keep SecureCRT Synchronized Between Computers with Dropbox. The difference is that I only needed to share the configuration within the confines of a single physical computer. 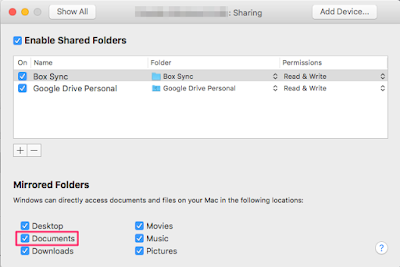 Ultimately, we will use the Shared Folders feature of VMware Fusion to share the configuration. The first step in this process is to get the configuration to a location that is easy to access from within the virtual machine. Open Finder, select the Go menu, hold down the Option key, and select Library. Locate the VanDyke folder, alternate-click on it and choose Copy. Choose Documents from the Favorites Sidebar. Alternate-click in the Documents folder and choose Paste. Optionally, rename the folder to something more obvious. I choose SecureCRT Config. 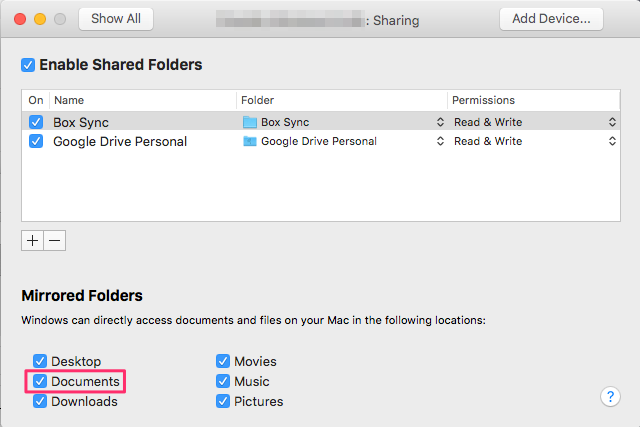 Shared Folders are hugely useful because they allow your virtual machine local access to the host OS X file system without duplicating data. In fact, I highly recommend using this feature instead of installing Box, Dropbox, or Google Drive apps within the virtual machine so the local storage only has one copy of each file. All we need to do in this section is verify that the virtual machine can see the path you copied the config folder to. Choose Virtual Machine > Settings from the Fusion menu. Select Sharing from the settings dialog. Assuming you followed the Part 1 steps and moved the folder inside of your Documents, check the Documents box under Mirrored Folders. Note: This screenshot shows additional items shared than what is required to complete this task. This is for awareness only. Select the ellipses to the right of the Configuration data is stored in the location below text box. This will open a Finder dialog. Press OK twice, once to acknowledge that you must exit and relaunch SecureCRT and a second time to commit the change. Select the ellipses to the right of the Configuration data is stored in the location below text box. This will open an Explorer dialog. When you reopen SecureCRT on the virtual machine it should now have all of the saved sessions and other preference changes you have made on your Mac (e.g. foreground and background colors). Copyright 2015 Jonathan Schulenberg. Travel theme. Theme images by zbindere. Powered by Blogger.